This card is all about sparkle…from the gold misted background, to the large gold droplets, to the blingy flowers and black sparklets. And it was all good until I tried to photograph it, either you couldn’t see the misting or you couldn’t see the sparklets…opted to get the misting as best I could. The flowers have been colored with Copics and two of them were also misted with gold. A bit of distressing across the bottom, a simple stamped sentiment, some fancy black sparklets and done! I’m thinking there’s enough bling to light a small city, hence my entry in the CASology – electric challenge. wow, so pretty! thanks so much for playing along at the Curtain Call! 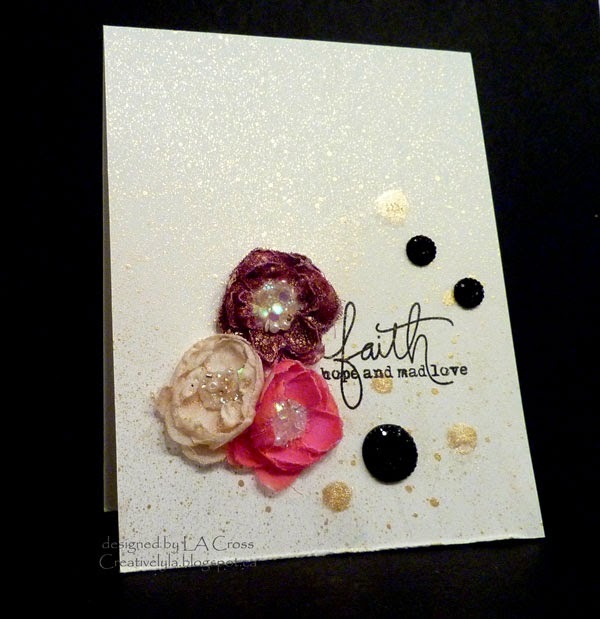 A gorgeous card Lee-Anne, I love your sparkling background and those flower are beautiful!! Absolutely perfect for the inspiration photo, the flowers are beautiful and the shimmery backdrop is a lovely touch! Thanks for joining us at Curtain Call! Such a fun take on the cue card Lee-Anne! Your misting is the perfect touch! So glad you joined us at CASology this week! Fabulous take on the insp. picture and use of the sequins! I love all the beautiful sparkle on your card! Oh, this is beautiful. Love the flowers and the gold misting! 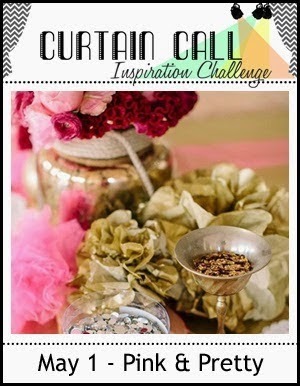 Thank you for playing along with us at Curtain Call Inspiration Challenge. I'll say sparkle!! It's beautiful. The flowers and the sparklets really do the BG justice!